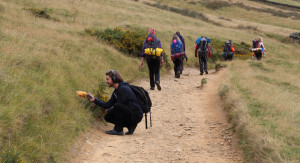 50 Steps was an ACE-funded group project with 3 dancers, a musician and a videographer, that toured to five towns and villages along the Pennine Way in 2015, its 50th anniversary year. There was a culminating performance at Square Chapel Centre for the Arts, Halifax in April 2016. At key points (Edale, Hebden Bridge, Thornton, Hawes and Garrigill) the group walked a section of the National Trail in the morning, and improvised a response the same evening in a process of immediate re-imagining. 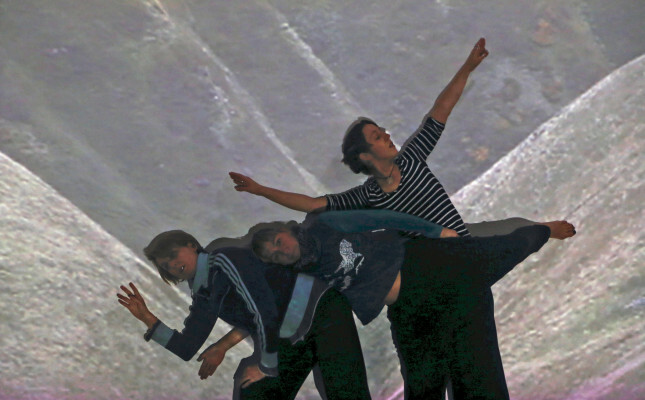 The dancers re-lived, reflected and interpreted their shared experiences of the walk, accompanied by a live musical soundscape and video clips live-mixed to stimulate a mutual exchange between the 5 collaborators, each answering and challenging the others throughout the 30-40 minute event. This final performance distilled our experiences of the Pennine Way. We looked back on the delights and rigours of the route, and offered our highly physical interpretation of the northern uplands, together with an insight into how our 5-way collaboration had worked out. Performance were preceded by a short introduction to the the geology and landscape of the Pennines by William Varley of West Yorkshire Geology Trust. • Stacey Johnstone is a physical performer and actor, with an MA in Ensemble Performance from Huddersfield University. She is an Associate of Whitestone Arts, Duende and Six Lips Theatre, and has worked with Freedom Studios, Pennine Prospects and Opera North Projects. Stacey is currently a freelance facilitator/director at CAPA (Wakefield) and working on Fewer Emergencies with Proper Job Theatre, performing again at Square Chapel in May. • Simon Warner is a landscape filmmaker/photographer and co-founder of Whitestone Arts, an arts producing and development base near Haworth. 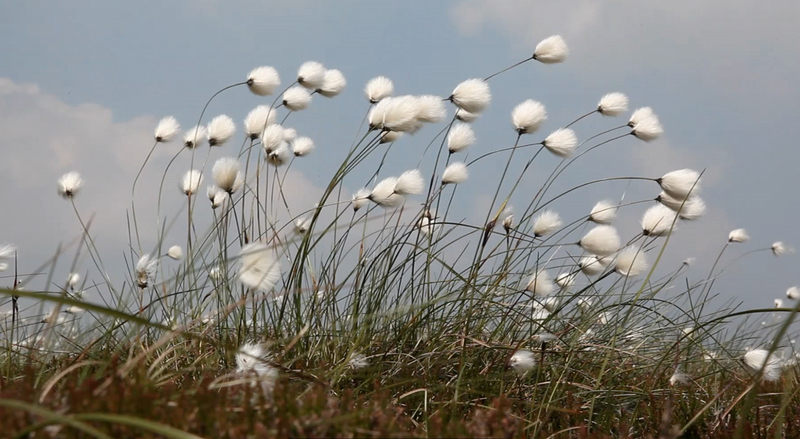 Current work includes 3 film projects for the Capability Brown 300 anniversary in 2016. He was long-listed for the Northern Art Prize 2011-12.